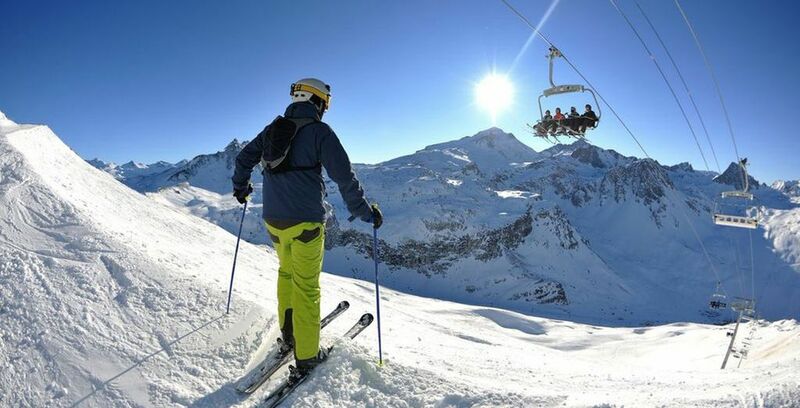 Ski to Courchevel up to -70% off To take advantage of these offers, join now for free! 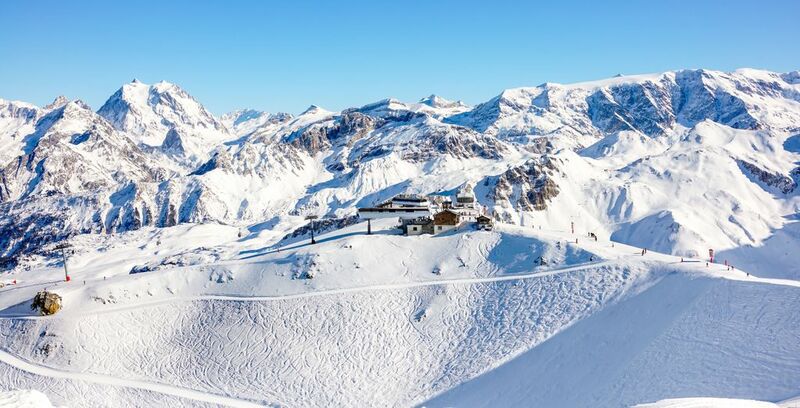 Courchevel is the largest ski area in the world; with amazing food, stunning scenery and perfect pistes, it is no surprise that people flock to the area every year. The popular destination lies to one end of the world's largest lift linked ski areas, known as the Trois Vallées. The north-facing slopes of the Courchevel valley provide some of the best snow in the valley, with terrains to suit all abilities. If you are planning a ski holiday to Courchevel this useful guide will help you make the most of the area, by introducing you to the best places to stay and things to do. For many visitors, Courchevel is a large skiing playground, made popular by the vast number of luxurious chalets and gourmet restaurants. Whether you are experienced or just starting to ski, Courchevel will provide an array of slopes and plenty of places to discover. The Courchevel valley includes five distinct resort villages; Courchevel, Courchevel Moriond, Courchevel Village, Courchevel Le Praz and La Tania Courchevel. The stunning villages are linked by pistes, lifts and a scenic road which winds its way from Courchevel Le Praz through to the highest resort village of Courchevel. If you are looking to travel between the resort villages quickly, there is a frequent free bus service available. Courchevel Le Praz is the lowest village in the valley and is known for its traditional rustic feel. Moving up the valley, the next resort is La Tania Courchevel, which is a great value option for families with its wood-clad buildings and scenic woodland location. The village sits at 1350m, making it the lowest French purpose-built resort. If you are looking for a quieter, more secluded break, the Courchevel Village is ideal. The resort is situated off the main road and contains a mixture of individual chalets and larger blocks. The Grangettes gondola features 10-seater cabins which take just five minutes to travel to neighbouring Courchevel. Courchevel Moriond is located along the main road, although traffic is minimal. The resort features a recently redeveloped village centre with a variety of bars, restaurants and shops. The highest village Courchevel is the largest resort and extends up along the hillside. The village is known as the most luxurious place to stay, with prestige chalets and hotels intertwined with high-end shops and restaurants. This is the main landmark of this resort and was built for use in the 1992 Olympics. A new gondola station was built in 2018 and a chairlift will take you to different slope areas. This large watersports centre was built in 2015 and can be easily accessed from the centre of the village via a three-stage covered escalator. The centre includes popular features such as outdoor and indoor pools, a surfing area, a diving pool, wild water rapids, saunas and a hot tub. The ice skating rink in the Courchevel resort is a popular option for many visitors. The rink lies next to a fitness centre and spa, with facilities such as a gym, sauna and steam room available. For families, the Village des Enfants is the ideal stop, with 5km of gentle child-friendly pistes. It is possible for children as young as 18 months to start lessons with small skis and soft boots, although more formal lessons are available in the snow playground. During the evening the highlight for many visitors is the 2km floodlit toboggan run, which runs from Courchevel down to Courchevel village. Experience the thrills of the slopes while taking in the striking mountain views from this modern yet authentic hotel. This 4* hotel provides upscale amenities with a warm yet simplistic decor. Guests can enjoy the on-site restaurant, sauna, bar and convenient ski access. La Sivolière is a 5* boutique hotel, located in the heart of the forest, just a few steps away from the centre of the luxurious village of Courchevel. The hotel offers 36 rooms and suites, which are decorated in a contemporary alpine style. The ski lounge will provide you with everything you need for your trip, from ski boots to clothes and accessories. 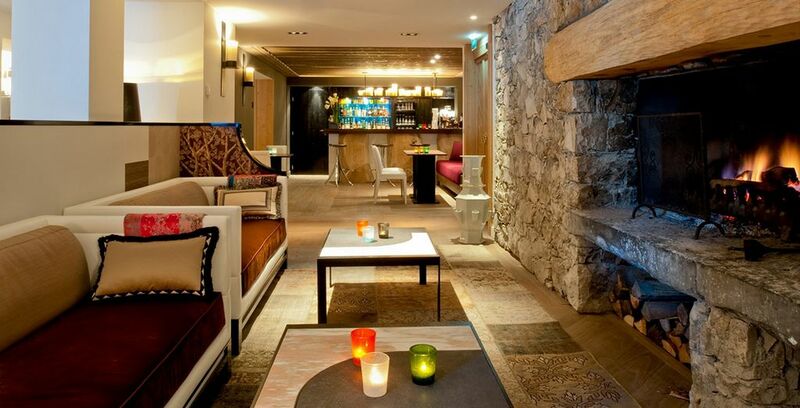 This welcoming 3* hotel combines contemporary style with a cosy alpine atmosphere. Located in the resort of Courchevel, guests can enjoy the varied terrain of the slopes before relaxing in the outdoor jacuzzi or large restaurant terrace. The nearest airport to Courchevel is Chambéry which is 110km away and roughly 90 minutes by car. Alternatively, Geneva airport is 190km from Courchevel and will take 120 minutes by car. If travelling by train, the nearest station is Moutiers which takes roughly 30 minutes. A regular bus service runs between the resorts and the train station. The most essential item aside from your ski equipment is your jacket, which should be comfortable and provide great protection. The next item to consider is trousers - search for a generous kick-flare so that they sit easily over the boots. Plenty of base layers are great for wearing both on the slopes and relaxing at the bar, so opt for lots of thin thermal layers. When is the best time to ski at Courchevel? The Courchevel calendar features a variety of popular events. Highlights include the Ladies Alpine World Cup Giant Slalom which is held in December, the 3 Vallées Enduro snow events in April and the International Fireworks Festival in February and March. What budget to plan for ski holidays to Courchevel? For those searching for great slopes, nightlife and relaxation, look for a hotel within the resort of Courchevel, which is home to a variety of hotels and luxurious chalets. The most prestigious hotels are often frequented by celebrities and millionaires from around the world, although there are a variety of budget-friendly options available.